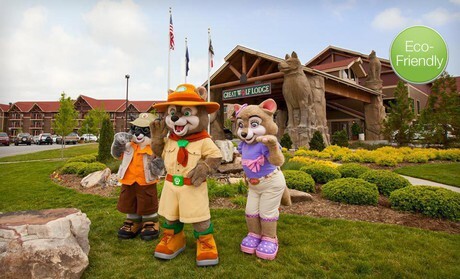 Thinking of heading to a Great Wolf Lodge or Kalahari in the upcoming months? Then you want to check out this almost 50% Discount at Great Wolf Lodge and at Kalahari! We have been to the Great Wolf Lodge in Traverse City a bunch of times and always had a bunch of fun. My oldest daughter recently went to Kalahari in Sandusky and was raving about it too! This is a Groupon deal and when you buy you get a voucher for the Great Wolf Lodge or Kalahari location of your choice. Be sure to check out the details and prices. They vary for each location. Some include lunch as well! They do all have restrictions on the dates these vouchers must be used by. If the dates work for you though, you can grab an amazing deal! If you would rather head Kalahari, here are the locations included.